Hearthstone is a beautifully balanced game. Sure there are cards here and there that spark some debate, but the act of logging on, pairing with an opponent and waging digital battle is complemented with a balanced, seamless experience. The game even shuns players who are taking too long to make their move – although there’s nothing it can do about this ridiculous recording breaking one. In an attempt to annihilate a Hearthstone World Record, one player is currently taking a turn that should last a full 43 hours to complete. 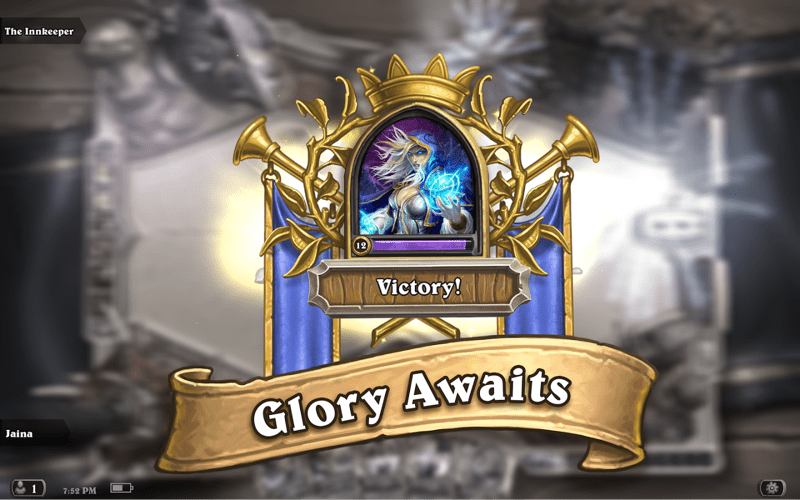 Hearthstone fanatic Mamytwich has figured out how to essentially break the collectible card game, without breaking any of the rules. A clever combination of cards and repetitive stacking (along with a willing victim) has allowed him to set up this ridicoulus turn. Playing as a Mage, Mamytwitch has filled his board with Prophet Velens, which increase the number of missiles an Arcane Missile card usually fires. Buff those Prophets up enough though, and that number starts increasing exponentially. So with the board stacked and nine Arcane Missiles played in a single turn, the record is basically breaking itself at the moment. You can even watch via the stream below. Obviously, this isn’t something Blizzard is going to have to worry about patching out anytime soon. This type of trick takes an incredible amount of setup, that probably required the help of his opponent (without Ice Block, it wouldn’t work at all). There’s almost no chance at all that someone could pull something like this off in a proper, competitive game, so it’s all really for show. And while the record itself is mind-blowing, being a spectator to it is pretty dull. It’s just the same animation over and over again, but hey kudos to Mamytwitch for doing the math and figuring this out. I can’t wait to see challenges to this in the future.